This Army Militia unit was formed in June 1915. 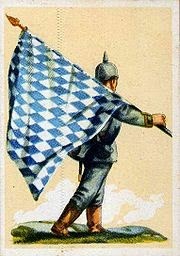 The 5th Ersatz Division was formed in 1915 and formed part of the German fourth line after regular and reserve formations. It fought on the Somme and on the Eastern front. This Naval unit was formed in April 1917. The 3rd Naval Division was formed in 1917 and formed part of the German Army formations, and was formed from units of the Imperial German colonial marines, elite formations. This Naval unit was formed in November 1914. The 2nd Naval Division was formed in 1914 and formed part of the German Army formations, and from November 1914 formed part of the I Naval Corps. The 1st Division guarded the sea front, and the 2nd Division guarded the coast. The units alternated between the divisions and brigades. This Naval unit was formed in August 1914. The 1st Naval Division was formed in 1914 and formed part of the German Army formations, and from November 1914 formed part of the I Naval Corps. This Army Militia unit was formed in August 1914 as the Wening Landwehr Division. The 1st Bavarian Landwehr Division was formed in 1914 and formed part of the German third line after regular and reserve formations. The Brigade was transferred to the 9th Bavarian Reserve Division on 26th September 1916. The Brigade was transferred to the 13th Landwehr Division on 17th May 1915. This Army Militia unit was formed in August 1914. The 4th Ersatz Division was formed in 1914 and formed part of the German fourth line after regular and reserve formations. It took part in the Battle of the Frontiers and served on both the Western and Eastern fronts. The Brigade was transferred to the 20th Landwehr Division on the 19th September 1916. On the 9th July 1915, the Brigade was disbanded. The Division was reorganised on 15th July 1915. The Division was triangulised in September 1916 and lost the 359th Infantry Regiment to the new 206th Infantry Division. This Army Militia unit was formed on 2nd August 1914. 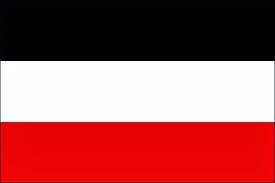 The 3rd Landwehr Division was formed in 1914 and formed part of the German third line after regular and reserve formations. 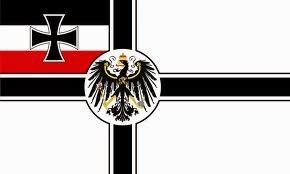 It was formed as the Higher Landwehr Command 3. The 6th Landwehr Regiment was formed in 1868 as the 1st West Prussian Landwehr Regiment. The 7th Landwehr Regiment was formed in 1868 as the 2nd West Prussian Landwehr Regiment. On 19th August 1916 the Brigade was transferred to the 217th Infantry Division. The Regiment was moved to the 17th Landwehr Brigade. On 28th September 1914 the Brigade was disbanded. This Army Militia unit was formed in December 1916. The 2nd Bavarian Landwehr Division was formed in 1916 and formed part of the German third line after regular and reserve formations. This Army Militia unit was formed in August 1914. It was mobalised as the 2nd Higher Landwehr Command. The 2nd Landwehr Division was formed in 1914 and formed part of the German third line after regular and reserve formations. On 1st January 1916 the Brigade was transferred to the 1st Bavarian Landwehr Division. On 1st February 1915 this Brigade was transferred to the 9th Landwehr Division, and on 4th March 1915 was redesignated as the 76th Landwehr Brigade. On 4th January 1917 the Brigade was transferred to the 204th (Wurtenberg) Infantry Division as the 407th Infantry Brigade. When the 9th Bavarian Landwehr Brigade and the 43rd Landwehr Brigade left the Division they were replaced by the 54th Landwehr Brigade. 125th Landwehr Infantry Regiment was moved into the Brigade from the 53rd Landwehr Brigade. It fought on the Western front.